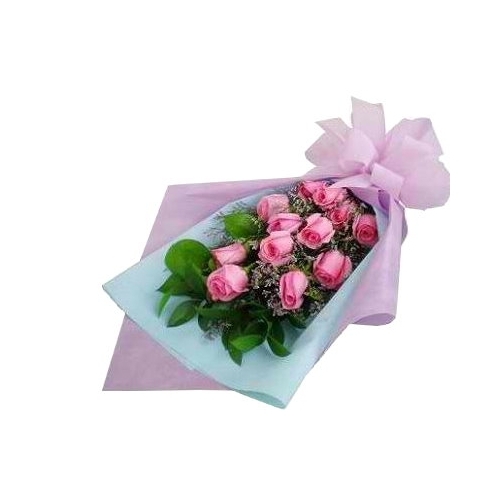 12 Pink Roses Bouquet.matching flowers and greens.Roses convey emotions without the written word. 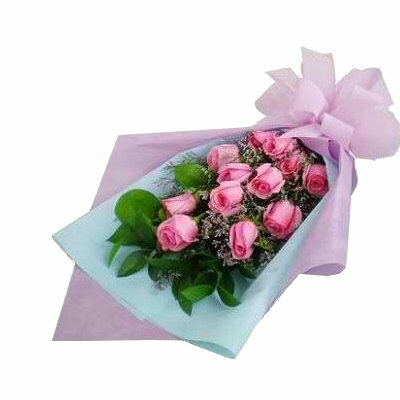 According to the language of roses, pink roses signify your admiration and appreciation for the love of your life. Pink is also a favorite color of many women and this pastel-colored flowers will surely win her heart!! !